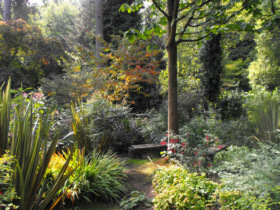 Not only do we specialise in choice and rare plants at affordable prices, but you can actually see them growing in our unique Woodland Walks in their natural environments amongst well established settings. Our Plants. We shall be open between 10:00am and 5:00pm every day over the Easter holidays. Seed potatoes all sold loose at £2.00 per kg - unless noted. 'Pink Fir' - £2.50 per kg. We are also the home of the famous MacPennys Long Life Labels and the unique New Forest Bracken Compost.